JD + Tmall e-commerce platforms make up 80% of the mobile phone e-commerce market; Competition between Huawei and Xiaomi ends in stalemate. 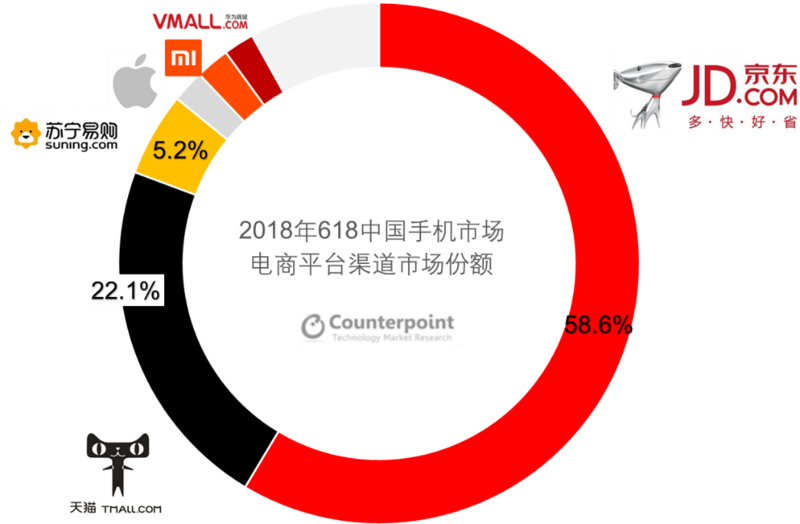 According to e-commerce channel monitoring data from global analyst firm Counterpoint, due to the heavy sales promotions of the “618” e-commerce platforms, nearly half of all smartphone purchases in June 2018 were made over e-commerce channels. Whereas in other months, e-commerce channels would account for approximately 30% of overall sales. JD.com and Tmall were the big winners of the 618 Festival. The market share combined for both retailers in the mobile phone category exceeded 80%. OEM E-commerce Platforms: 618 is JD.com’s primary battlefield, with Tmall entering the play later. Both retailers therefore invested a large amount of resources this month. The market share of e-commerce platforms for OEMs such as Apple and Xiaomi suffered a drop as a result. Offline retail channels have already recognized the power and market performance of e-commerce channels and have accepted this reality. During the festival period, they mostly avoided stealing 618’s thunder, choosing to wait for other opportunities to arise . 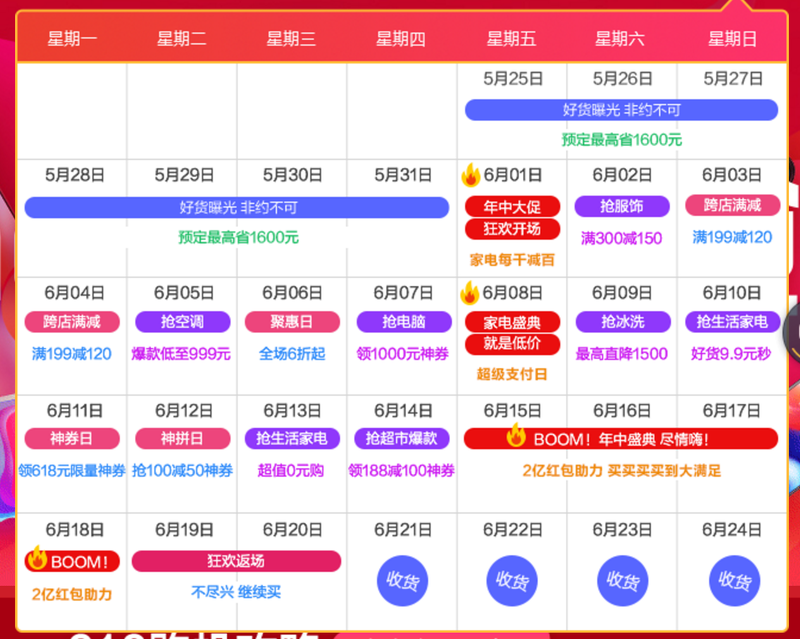 Channel Integration: During the 618 festival period, offline activities were carried out as well, though mainly from major players such as JD Home and Suning.com. They would set uniform pricing for both their online and offline platforms and offer rebates as incentives. Impact of the World Cup: As the 618 shopping festival coincided with the hosting of the World Cup major sporting event, we found that the World Cup did have some impact on sales volumes for 618 promotions. However, it had little impact on the sales of mobile phones. Rather, the event helped promote the sale of food and beverages such as crayfish and beer over 618’s channels. Social E-commerce: Featuring early entrants such as Mogujie.com and current players such as Pinduoduo.com, social e-commerce was incredibly active during the 618 shopping festival. In addition, JD Pingou also entered the ranks of social E-commerce players. 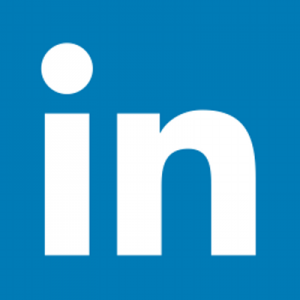 The merits of conducting e-commerce business through social e-commerce have long been proven. However, they have thus far had limited impact on the sale of mobile phones and other tech products. Sales of mobile phones thru social e-commerce will be more dependent on the competitiveness of the mobiles phones itself. Supply Chain Readiness: Through Counterpoint’s supply chain channel surveillance, we discovered that large mobile phone brands prepared for the 618 activities by ensuring a large supply of goods and models, with a few OEMs even arranging a special production line for the 618 festival. In fact, several brands even took advantage of the 618 event to launch their own proprietary phone models. Internationalization of E-commerce Platforms: On the day of 618, JD.com held a press conference at its headquarters announcing that the globalization initiative of JD’s logistics would undergo an all-around upgrade. For its part, Alibaba had already deployed its international logistics affiliate (Cainiao). But whether it’s the internationalization of JD.com or Alibaba, support for cross-border logistics and back-end systems is needed. The typical method for expanding e-commerce platforms overseas is through capacity building or M&A investment. For example: JD.com built its own logistics platforms and systems in Indonesia and Thailand. In any case, these investments offer more channel convenience and support for the overseas channels of smartphone OEMs. JD vs TMall Competition—each carry its own characteristics: During the period of 618, both retailers exploited the uniqueness of their own business models to participate in 618. 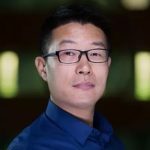 For instance, JD.com excelled at product service and marketing, whereas TMall’s advantages lay in its shopping channels and financial services. More talk of technology, less of price cuts. Another trend from 618 is that the promotion of e-commerce has evolved from being about just discounts and price cuts to being about the promotion of technology, empowerment, etc. As a result, technological innovation as well as service and value upgrades to the platform have become its greatest highlights. And behind all this is the transformation of e-commerce platforms’ strategic principles. 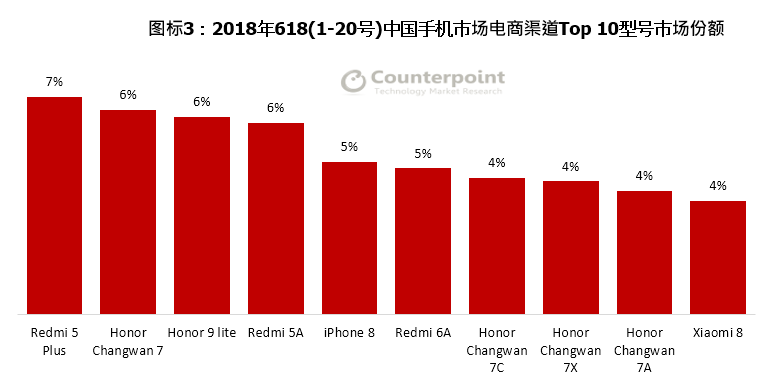 The three traditionally strongest brands of mobile phones on e-commerce channels–Xiaomi, Huawei and Apple–made up over 70% of overall market share. This was even more pronounced during the 618 Festival period. The gap between Xiaomi and Huawei is growing increasingly smaller, and their product lines are forming perfect competitive rivalries. Whether it’s during the 618 festival or a normal sales period, e-commerce is now Apple’s primary sales channel. 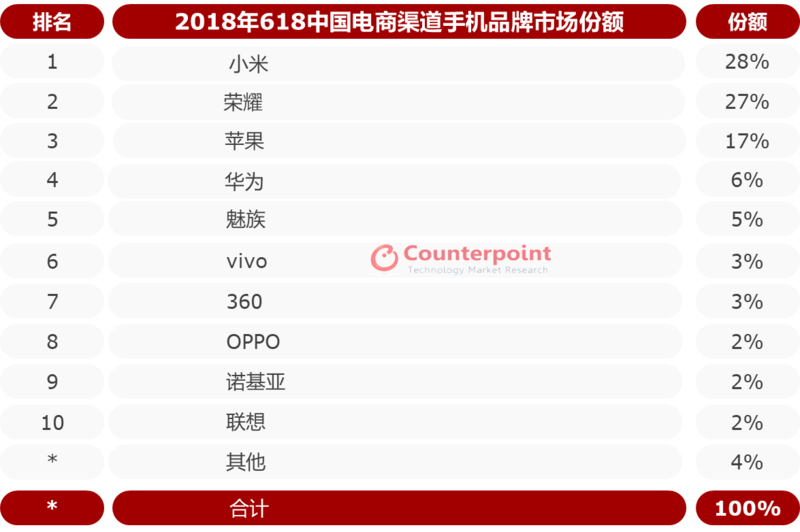 The proprietary e-commerce model of Vivo’s Z1 entered the top six. The return of new products from Lenovo and Nokia marked another highlight of this year’s 618 Festival. Lenovo is rebooting its product line-up after a strategic re-adjustment, while Nokia wants to bring its outstanding performance in overseas markets to China. Apple, due to the iPhone 8’s discounts and cost performance during 618 , entered the Top 8. Xiaomi, on the other hand, occupied four places in the Top 10 thanks to its low-end RedMi series. Meanwhile, the newly launched Xiaomi Mi 8 entered the Top 10 as it was given top supply priority in e-commerce channels. Huawei offered more models than that of other brands, and owing to its own brand and product strength, held five places in the Top 10. Meanwhile, the low-end 7C and 7A models were main contributors. On Tmall’s channels, the Huawei 10, iPhone X and Xiaomi 6X entered the top 10. Sales for the Top 10 models approached half of all market sales on 618 e-commerce channels.